Your Online Authority - Medical Marketing Enterprises, L.L.C. March 6, 2013 by Randall Wong, M.D. 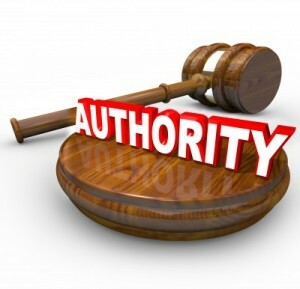 Readers naturally search for an authority. Authorities have the most credibility. Your goal is to become a medical authority….online. Every website must provide value. Contrary to popular belief, most people are surfing the Internet with a specific purpose. They are in search of an answer to a question or solution to a problem (really the same thing). Remember the 3 types of websites? Resource, Marketing and Interactive. Regardless of the type of website you have, your website already provides value. For instance, a basic “resource” site containing hours of operation, insurance information and directions provides value to your existing patients who know they can find this type of information on your site. To improve your value and to turn your site into a powerful marketing tool, write articles on your site to answer your patients’ questions and solve their problems. This is the best way your site can provide value and to rank you highly at the same time. The more value you provide, and for free, the more trust you will develop. Trust in you does not develop with one article. It builds after several articles and over time. Trust allows patients to leave comments and ask questions on your site. Trust motivates “readers” to become real patients. Your degree gives you a certain level of credibility, hence, it will be easier and faster for you to develop trust compared to those without a degree. You are, therefore, able to provide tremendous value to your readers by sharing your knowledge as an authority. Remember, who else would be better to provide health information than you? Don’t advertise. Prove your authority and develop your trust by writing consistently and regularly. It’s no different than educating our patients in an office setting. Writing knowledgeably about what you do will provide tremendous value to your future patients. Providing credible information establishes your authority and will accelerate the development of trust.